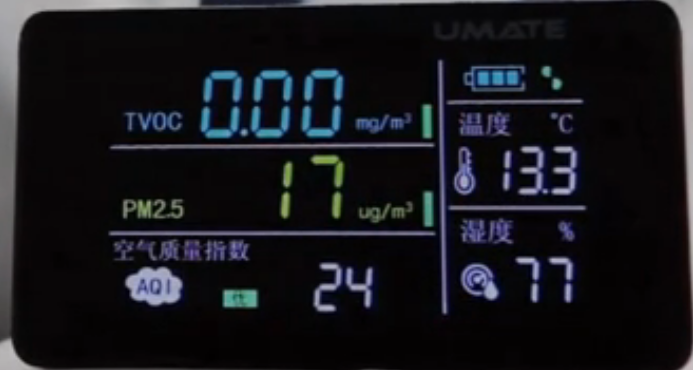 Last week, President of Global Sales and Service Jon McNeill was at the Beijing Automobile Exhibition highlighting the importance of Bioweapon Defense Mode when launching the Model X in China, "We did an experiment in Beijing to see how many parts per million Model X fares to the outside air quality, when bioweapon defence mode is on, particles per million went down from 320 to 8ppm". 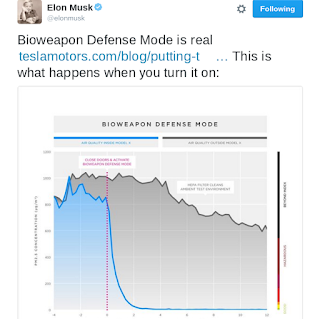 Today Elon shared Tesla's latest blog on testing the Bioweapon Defense Mode in a Model X in California, noting that "Filtering particulates from air makes a significant & measurable difference to health." crediting Google’s Larry Page for inspiring the idea of a Bioweapons Defense Mode. 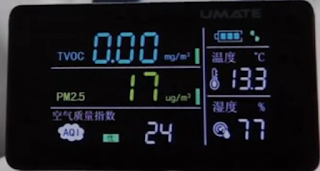 "The air filtration system was put to the test in real-world environments from California freeways during rush hour, to smelly marshes, landfills, and cow pastures in the central valley of California, to major cities in China. We wanted to ensure that it captured fine particulate matter and gaseous pollutants, as well as bacteria, viruses, pollen and mold spores. 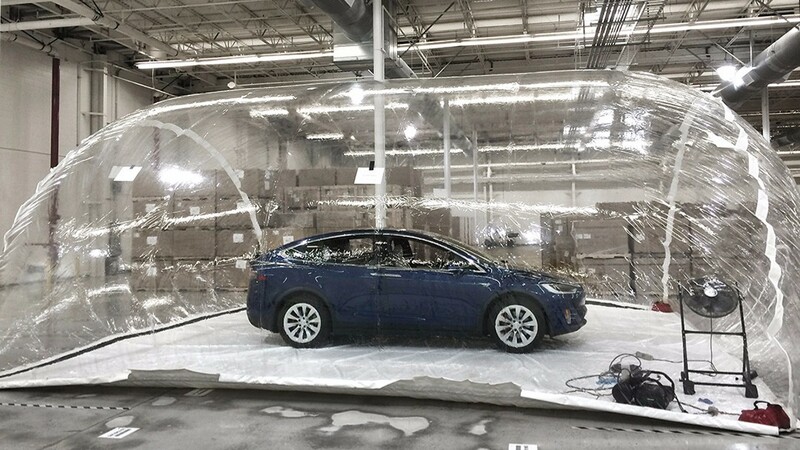 In less than two minutes, the HEPA filtration system had scrubbed the air in Model X, bringing pollution levels from an extremely dangerous 1,000 µg/m3 to levels so low as to be undetectable (below the noise floor) by our instruments, allowing us to remove our gas masks and breathe fresh air while sitting inside a bubble of pollution. Tesla will continue to improve the micro-geometry and chemical passivation defenses in the primary and secondary filters, which are easily replaceable, so this will get better the longer you own your car."